Being known as the most diverse, Dallas Estate Sale Liquidation and Auction Company in North TX, has helped “When Pigs Fly” soar high above the competition. We are based out of Dallas/Ft Worth with our own Auction house located near Texoma! Winning awards as the “Most Viewed” Estate Sale Company in Texas and the U.S., as well as our HUGE customer base makes us the best choice in North Texas. Our referrals include past clients not just in Dallas / Ft Worth, but Senior Living Centers, Customers, Real Estate Professionals, Attorneys and Executors of Estates. Owner, Tonya Adam and her team, bring over 50 years of expertise in Estate Sales, Liquidation, Merchandising, Finance, Retention and Management in and around Dallas, TX. Her dream of creating a viable estate sale and auction business, has come alive and is thriving. 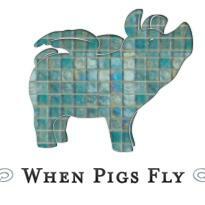 What makes When Pigs Fly the Company of Choice? Knowing you will be given honest answers, with solutions oriented to your unique situation from an experienced and knowledgeable team. With Hope, Faith and Compassion, our team offers you Professional service, from our hearts! Call for a estate sale consultation to discuss the best solution for you. Our business was created out of a desire to live a dream and share our abilities with others. We've grown quickly and in a wonderful and exciting direction. With our own location to provide many options, we are a full service Estate and Auction business with solutions for you. With so many options, customizing to fit your needs is easy. Each one of our sales is a celebration of life. We encourage smiles and happiness when we host and set a sale of any kind. We are a family owned business and look forward to listening to your needs and assisting as best suits you and your family. Collinsville celebrates it's "Pioneer Days" once a year and we are opening our warehouse for you to shop on this day. 9-4 will open the door! This company has posted a total of 192 estate sales. Only the most recent 50 sales are shown. I would like to recommend Tonya Adam of When Pigs Fly Shop Tonya arranged for my mother's move from her apartment to assisted living She was able to help us move the items she wanted to keep and was able to sell the rest of the items She was professional in all aspects of the sale The whole process allowed us to deal with the situation in a painless manner I would highly recommend Tonya for your needs.